Your Afaria environment became unable to connect to Itunes. When Afaria is unable to connect to Itunes, all Apple App Store App Policies fail to load properly. When Apple App Store App Policies fail to load properly, the entire app catalog system crashes when users try to use it. It’s unfortunate that the entire mobile app feature crashes when Afaria loses connection to Itunes, but it is what it is. The temporary workaround is to simply disable all Apple App Store App Policies until a fix is found. 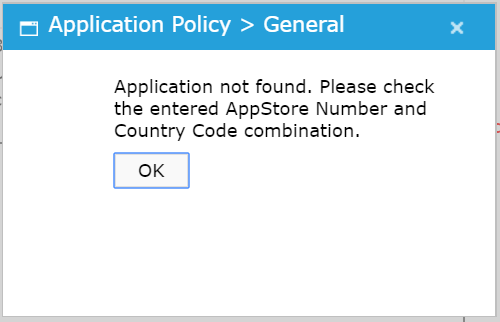 Note: the error message you see at the beginning of this post occurs when you click the “General” tab of your existing Apple App Store app policy, and then click the “Summary” tab. What happens is that Afaria tries to evaluate the existing information in the general tab, and when it can’t, it gives you that error. 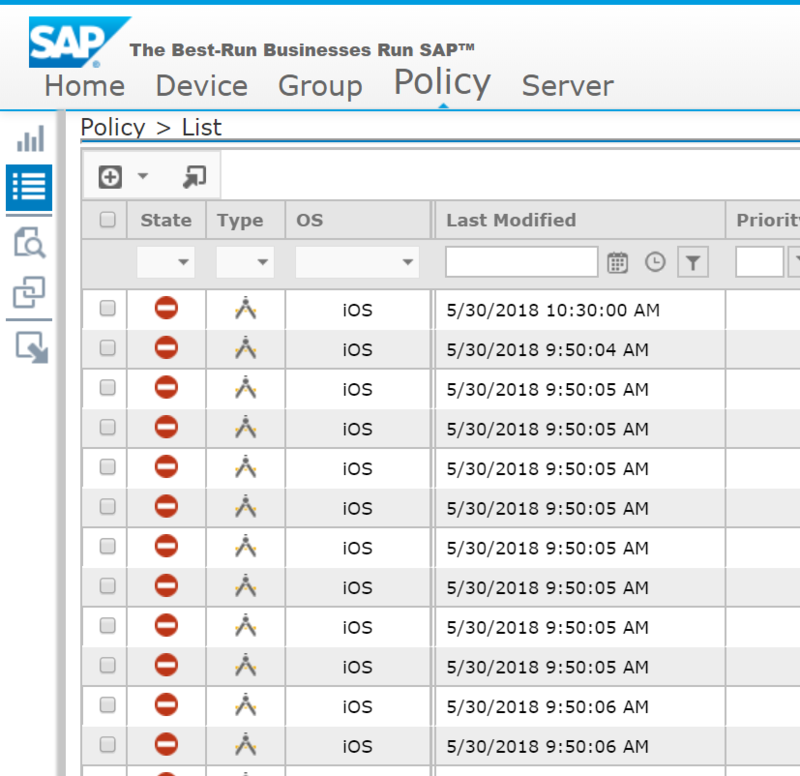 Previous Post:Intune: Apple App Store issues?